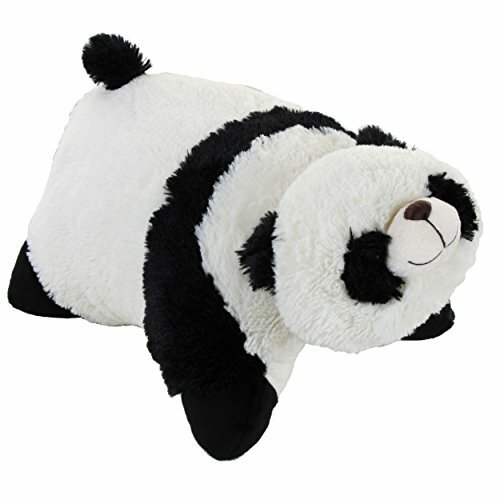 Get tons of warm snuggly happiness with the Pillow Pets Classic Comfy Panda! The plushest, friendliest, and softest stuffed animal/pillow you can find! Bring a touch of room decor along with the practicality of everyday use as both a toy for imaginative play and a pillow for television, bed, or travel time. A super-soft chenille plush folding stuffed animal so cuddly kids will never want to put down! 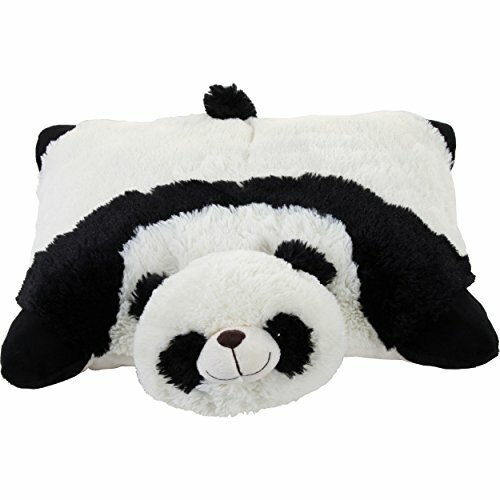 The Comfy Panda pillow pet is an ideal naptime and bedtime companion – not to mention a comforting partner on road trips or airplane rides. Pillow Pets are anything but just another toddler pillow. Starts out as your pal, then un-fasten its belly and quickly becomes a comfortable panda pillow! A bedtime solution that will have your kids running to their room with their new pet for a good night’s rest on their new favorite pillow. Pillow Pets carry a wide selection of adorable plush pillow pets so comfortable you won’t want to let go. Whether you’re looking for a sassy cat, a wiggly pig, a jolly giraffe, or even a silly monkey, there’s a folding stuffed animal pillow for everyone! Made of high-quality washable chenille. BPA and phthalates free. Opens to a 16-inch pillow. Product overall dimensions 16 x 16 x 4. As with all decorative pillows, all Pillow Pets products are recommended for ages 3 and up. 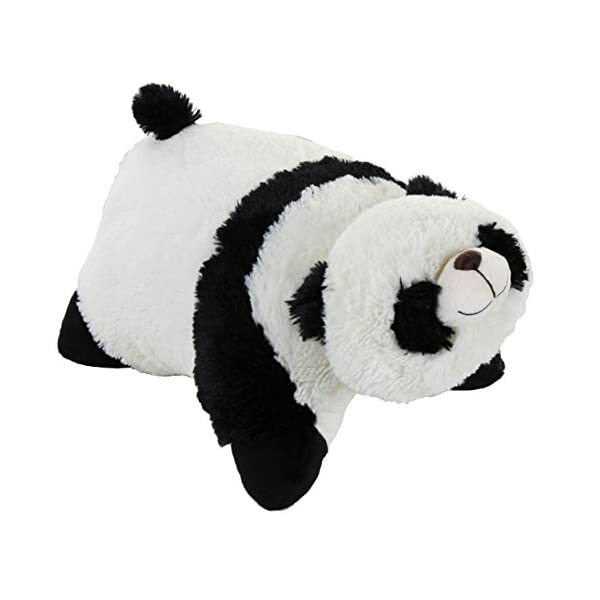 GET READY TO CUDDLE UP: Get tons of warm snuggly happiness with the Pillow Pets Classic Comfy Panda. The plushest, friendliest, and softest stuffed animal pillow you will find. SNUGGLY BEST FRIENDS: Comfy Panda will become everyone’s best friend. Kids of all ages will enjoy the fun of everyday use as both a toy for imaginative play and a rest time friend for TV, bed, or travel time. SPECIFICS: Official Pillow Pets product. Made of high-quality chenille. Opens to a 16-inch pillow. Product overall dimensions 16 x 16 x 4 inches. Recommended for ages 3 and up. 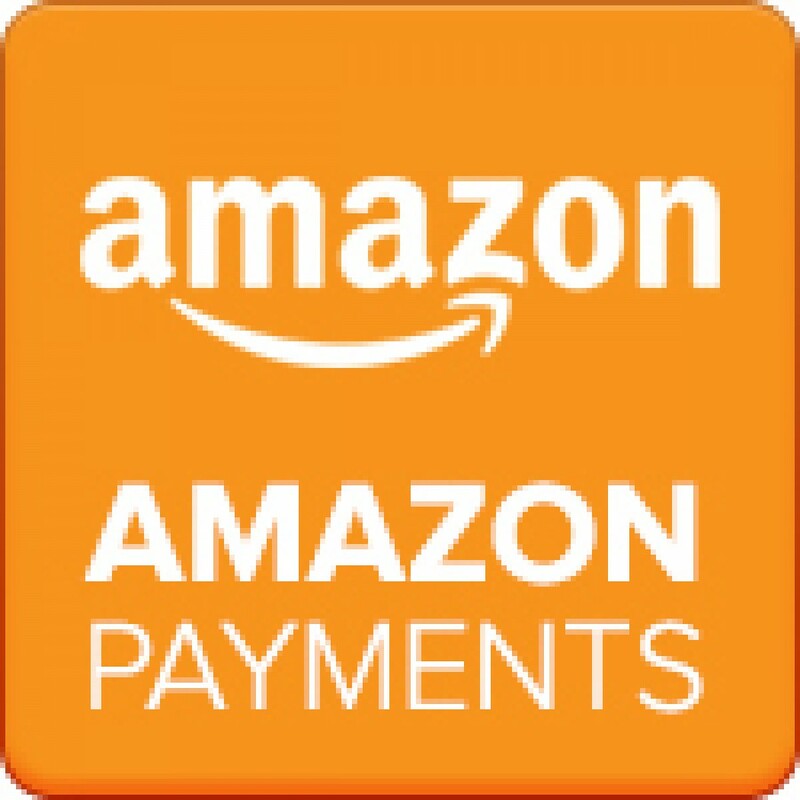 Be the first to review “Pillow Pets Classic Comfy Panda 16″ Stuffed Animal Plush Toy” Click here to cancel reply.